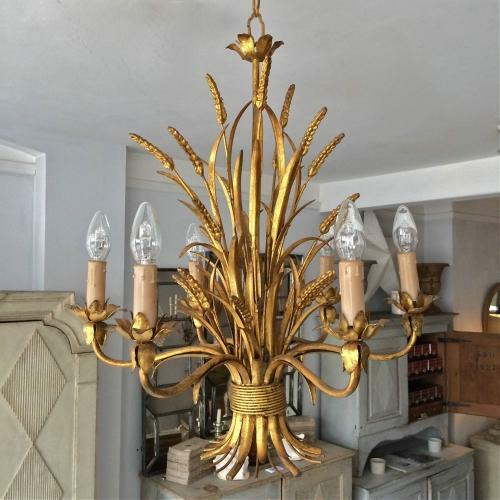 A beautiful mid century wheatsheaf chandelier in original time worn gilt. Six electric candle lamp branches with working electrics. Italian circa 1960.